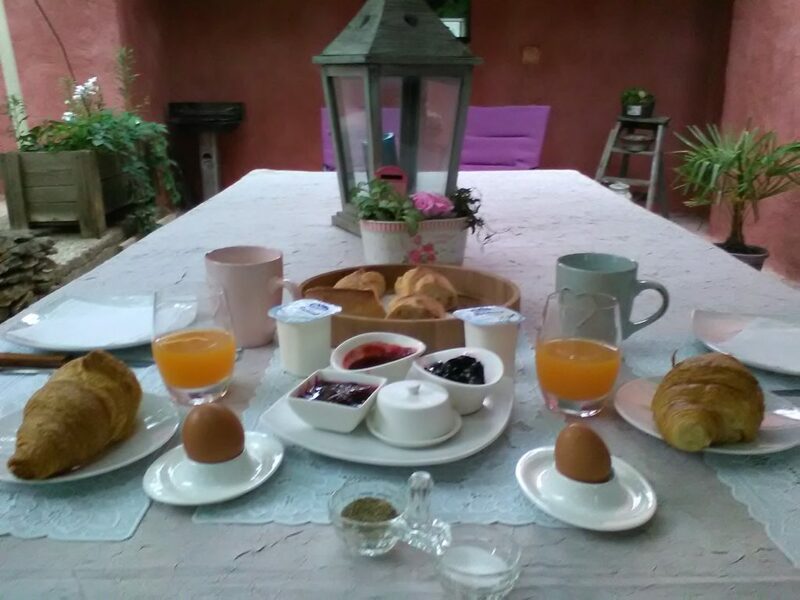 Welcome to La Médiévale du Luberon, the most private and finest Guest house (B&B) ! 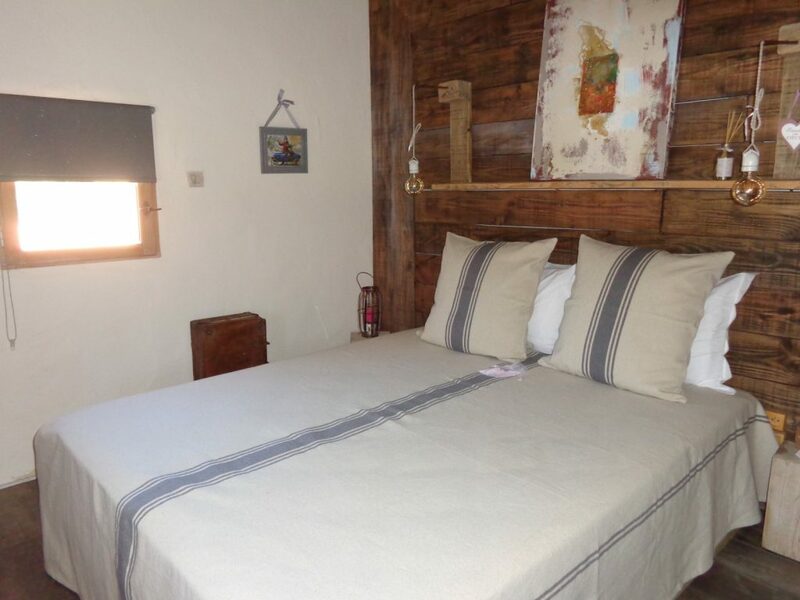 An accommodation dedicated to your holidays located in the heart of the Luberon Natural Park, Provence ! We will be delighted to host you and will make your stay unforgettable. 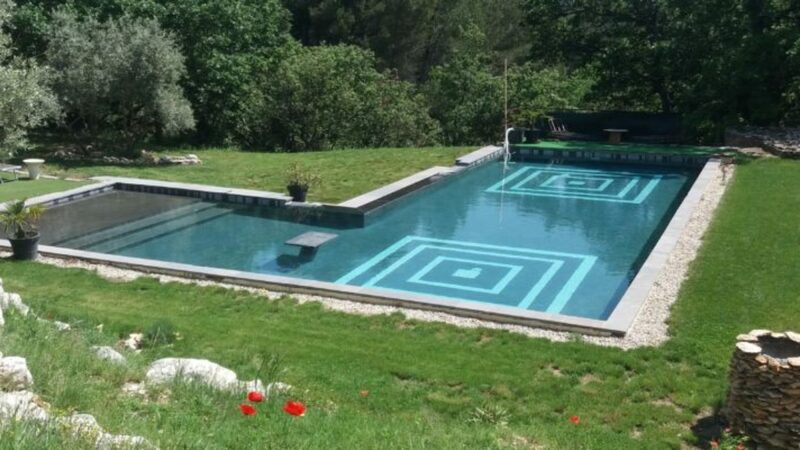 As soon as you arrive, you will discover fascinating landscapes in which the attractive color of the house contrasts with the green of the pines and vineyards surrounding our hilltop village ranked among the “most beautiful village of France”. 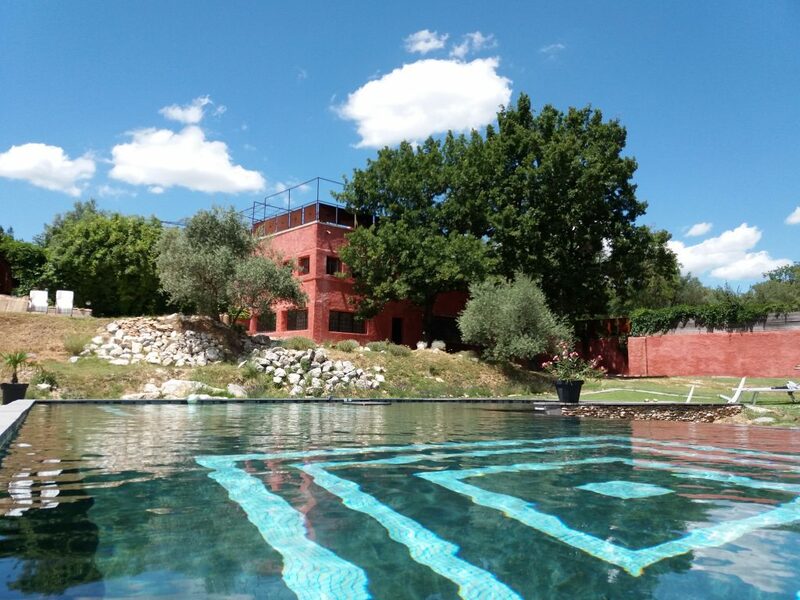 La Médiévale du Luberon is surrounding nature and a short walk from the heart of the village. 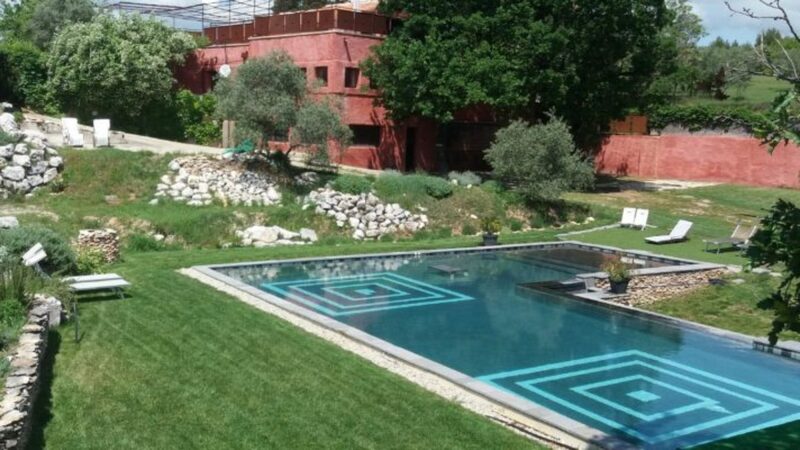 La Médiévale du Luberon is a very quiet place facilitating complete privacy. At the foot of the property, a trail unknown from tourists sinks into a pine forest and offers a charming scenery with its glistening cliffs for great romantic walks at sunset. 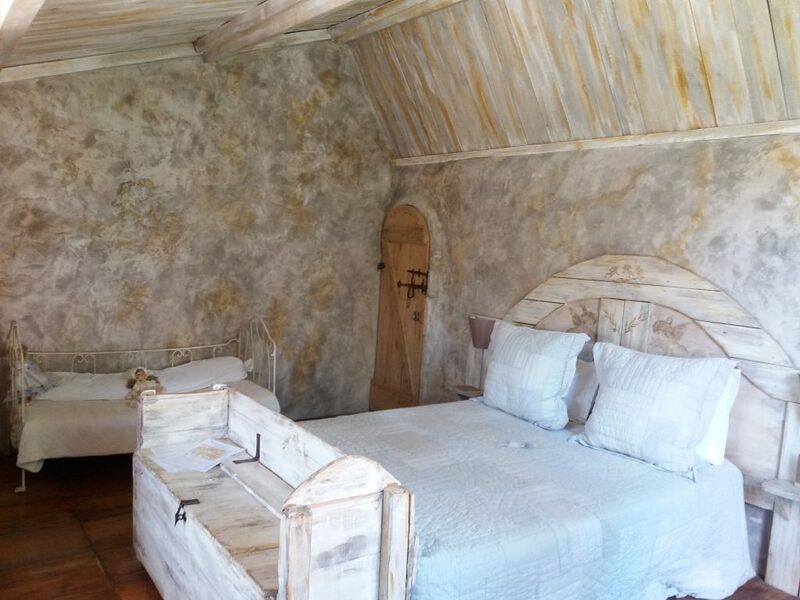 You can discover Roussillon by foot, an enchanting village of ochre with its traditional colored coated houses, its numerous galeries of art, small shops with provençal items, and restaurants. 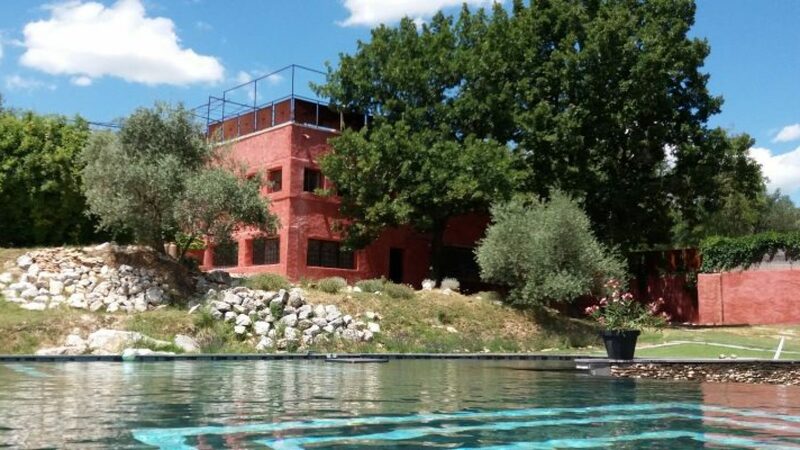 At the top of the village, the Saint Michel church and its frontage dated from the 17 century is located near a cliff where you can admire a sumptuous panoramic view on the landscapes of Provence. 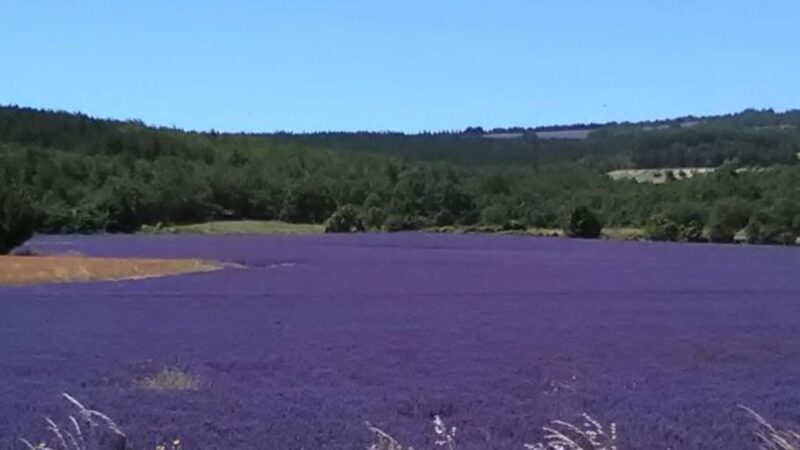 You can also discover the remarkable Ochre Trail (sentiers des ocres)with its colors from yellow to purple which tell us that Ochre has been used since prehistoric times, and was mined by the Romans during the era of the Roman settlement of Provence. However, ochre only became a widespread, industrial product in the late 18th century when Roussillon native Jean-Etienne Astier put forward the idea of washing the ochre-laden sands to extract the pure pigment. Today, though natural ochre faces strong competition from synthetic pigments, it remains unrivalled for use in certain applications. 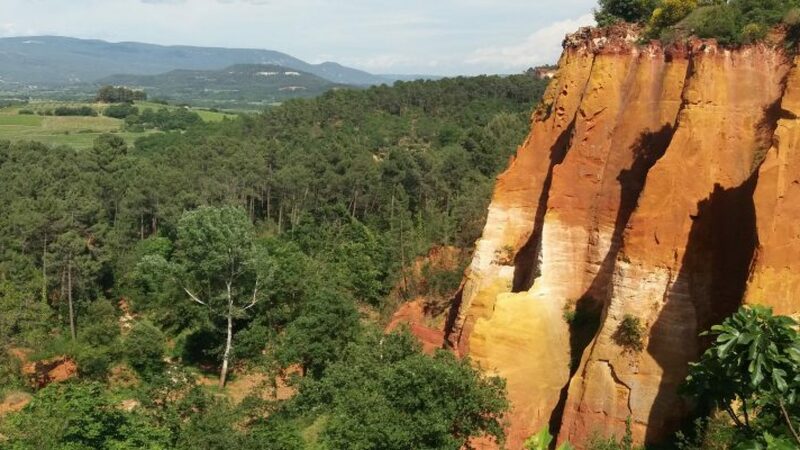 In Roussillon you can also learn about the industrial history of ochre in the area by visiting the Ochre and Colour Conservatory “Conservatoire des ocres et de la couleur” in the former Mathieu factory whom offer tours, classes and information regarding the use of ochre. Located in one of the three villages forming the “golden triangle” of Luberon, La Médiévale du Luberon provides the perfect base from which to explore Luberon, Provence and the Midi, this land with a rich provençal identity which architectural heritage, gastronomy, hand-crafted products appeal the tourists all over the world. 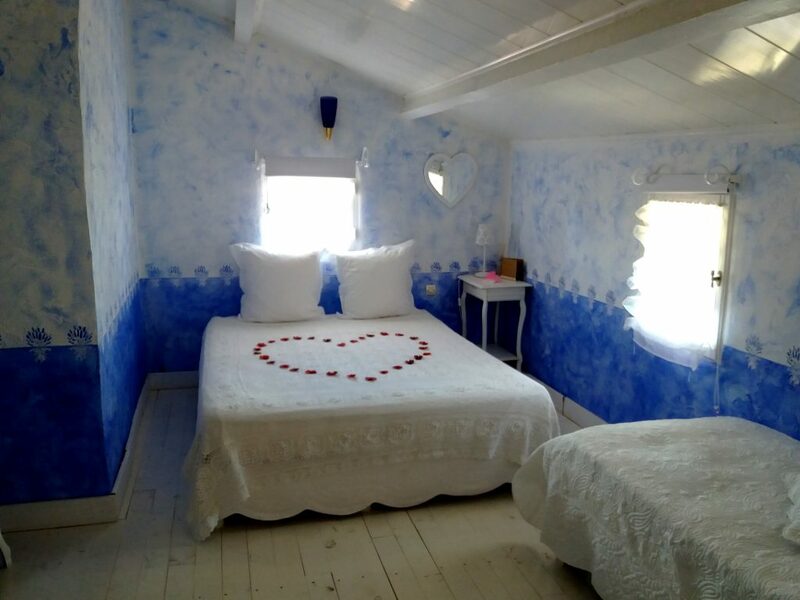 Come to experience a magical moment in our house where keywords are cam and privacy !